Amazon.com offers the Oi Ocha Matcha Green Tea Unsweetened, 16.9 Ounce Bottle (Pack of 12) from $14.16, via clicking the 20% coupon & using Subscribe & Save. Features：Ocha Green Tea is brewed from first flush whole green tea leaves grown in Japan not from tea powder or concentrate; using the whole leaf means our teas don’t lose any of the health benefits that are naturally present in green tea leaves. 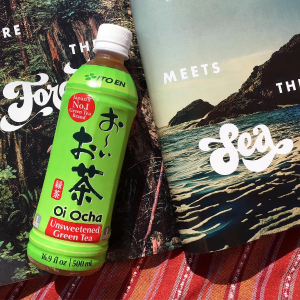 Oi Ocha Unsweetened Green Tea has is natural clean tasting and refreshing; putting our iced green tea in a convenient ready to drink bottle means you can have your hydration on the go; it makes a great alternative to traditional sodas.